The Read online shop is open for business! Never skipping a beat and in keeping with technological trends, READ Educational Trust in conjunction with Reading Matters is extremely pleased to offer patrons the convenience of buying a variety of items online, which is fast becoming one of the preferred ways of purchasing in South Africa. 100% of profits will be used by READ, to further READ’s work in disadvantaged communities, delivering literacy programmes and encouraging the joy of reading far and wide. Mug ‘n Spoon Gift Sets: Ideal Gifts for Book Lovers! Delightful reading quotes have been selected for the first of our Mug ‘n Spoon gift sets; guaranteed to be cherished by their recipients, as will the stylish quotable designer T-shirts. The perfect gifts for colleagues, teachers, friends and family. Promote Literacy in your Own Home … and Beyond! The popular RED READING BOXES are set to be a best seller online, and it is predicted that the recently launched Read Aloud Magic box sets will follow suit. Aimed at encouraging reading aloud in the home and in the classroom, each of three book sets on offer contain 12 beautifully designed books filled with magical, adventure-filled stories set in Africa. Charmingly illustrated, these stories revolve around children and animals discovering the world in which they live. 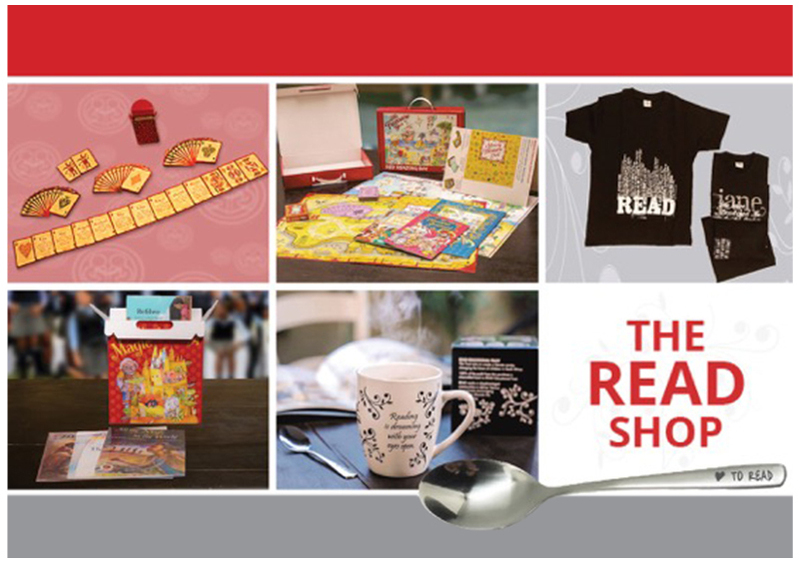 In addition to offering the sheer convenience of shopping on a virtual platform, The Read online shop is set to grow brand awareness of READ’s relentless goals to empower disadvantaged communities through literacy. More high-quality items will be added from time to time, and 100% of the profits will be invested into promoting literacy and quality education across the country. Please ‘come in’, browse at your leisure and share this link with your friends! Visit The Read Shop, Join the conversations on Facebook, Twitter, Instagram.